Immunization questions answered on the 'Line. To prick or not to prick? News reports say that rain can trigger autism. Is that true? Vaccines were once heralded as public health saviors, protecting generation after generation from deadly—and frighteningly common—infectious diseases. But these days, parents seem more likely to hear about vaccines in an entirely different context: apathy, distrust, and fear. Vaccines have been linked numerous times to health problems and developmental disorders like autism. Immunizations also sometimes seem unnecessary because the diseases they protect against have become so rare. So what do parents need to know to make the right decisions about immunization? Scienceline gets to the bottom of the issue. What’s the story with the MMR (measles, mumps and rubella) vaccine? Does it cause autism? Multiple studies show that there is no link between MMR and autism. The MMR controversy began in 1998 when English doctor Andrew Wakefield published a study in the Lancet suggesting a link between gastrointestinal problems and autism. He noted that the onset of symptoms correlated with the time that children received MMR vaccinations. The paper did state that it “did not prove an association between measles, mumps, and rubella vaccine and the syndrome described,” but the media caught whiff of the correlation and its coverage soon created a panic. The paper has since come under intense scrutiny: London’s Sunday Times revealed in 2004 that Wakefield had received ₤50,000 (about $90,000) from a legal council for parents who were searching for a link between the MMR and their children’s gastrointestinal and behavioral problems. Several of these children were the subjects of Wakefield’s research, revealing a significant conflict of interest. Portions of the paper were later retracted by its other authors, although Wakefield still stands by the study’s credibility. Even if Wakefield’s study was legitimate, its results were based on an analysis of only 12 children, so its small sample size limits the conclusions that can be drawn from it. And since then, epidemiological studies in Denmark and Finland—each of which studied over 500,000 children—have subsequently failed to show any link between MMR and autism. In 2001, the Institute of Medicine (IOM), an organization designed to provide independent and evidence-based advice on health issues, released a report concluding that “the evidence favors rejection of a causal relationship” between the two. Even if MMR is a safe vaccine, does it really matter if my child is immunized for measles, mumps and rubella? Incidences of measles, mumps and rubella in the U.S. have drastically dropped—by more than 99 percent—since the first combination vaccine was introduced in 1971. But outbreaks still occur. It’s important to be immunized for two reasons: First, to maximize your child’s chances of staying healthy if an outbreak occurs locally, and second, to limit the spread of such outbreaks in the first place. This year, the U.S. experienced the largest measles outbreak since 1989, and measles is nothing to sneeze at: It leads to hospitalization in nearly one out of five cases. The U.S. has also experienced the largest mumps outbreak this year since 1988. I’ve heard that there is a toxic mercury compound present in vaccines. Should I be worried? In 1999, an FDA investigation showed that children, via their immunizations, were being exposed to a potentially toxic substance called thimerosal at levels that exceeded EPA limits by up to 130 times. 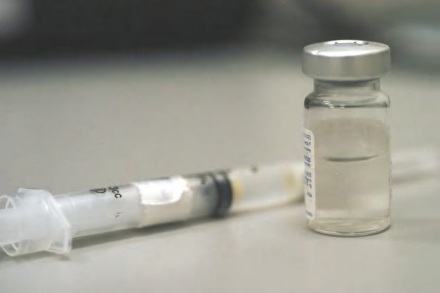 Originally developed by Indiana-based pharmaceutical company Eli Lilly, thimerosol ensures that vaccine vials, often accessed multiple times by medical staff, do not cultivate unwanted bacteria or fungi. Thimerosol is almost 50 percent ethyl mercury by weight. Ethyl mercury is a form of organic mercury that is, according to the IOM, “closely related” to methyl mercury—the toxin found in certain types of fish. While methyl mercury is known to be “exquisitely toxic to humans,” according to Isaac Pessah, the director of the Center for Children’s Environmental Health at the University of California, Davis, “much less work has been done on ethyl mercury toxicity.” Ethyl mercury distributes itself among bodily tissues similarly to the methyl form. Research suggests, however, that ethyl mercury is slightly less toxic, in part because the body appears to break it down more quickly. But laboratory studies on the metabolism of ethyl mercury and its toxicity have been limited and inconclusive—so no one is really certain how dangerous it is. After that, most manufacturers voluntarily removed thimerosal from their vaccines. Today, some diphtheria, tetanus, influenza and meningococcal vaccines still contain the preservative, but only in trace amounts. Children today are not exposed to more than 3 micrograms of ethyl mercury from vaccines within the first six months of life, which is far below the EPA’s limit of 89 micrograms for children of average weight. Before 1999, children could have been exposed to up to 200 micrograms. Did the thimerosal present in vaccines before 1999 cause autism in some of the exposed children? hello dear melinda, this is good ol chad from UM composition department.